Rushad Robert Eggleston (born September 30, 1979) is an American composer, wild jazz vocalist, kazoo player & performer, who has toured extensively in 49 states and 15+ countries. Eggleston is known for inventing words, and for his imaginative world called The Land of Sneth. Well, there you go. I’m trying to figure out what, exactly, is a “wild jazz vocalist.” Here is performing his own work, “Fluffy Arabian Cat Disease.” He kills it on the kazoo. And then there’s this, “Bach vs. Eggleston.” Dude’s got chops. He was the first string player to receive a full scholarship to the prestigious Berklee College of Music. Interesting guy. 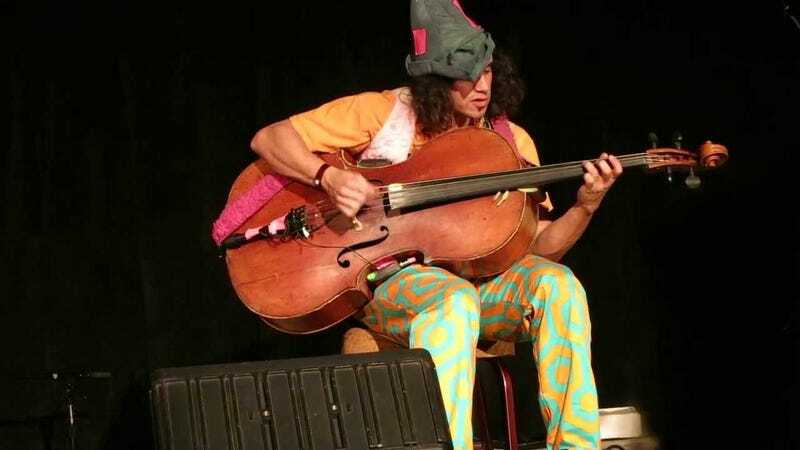 Almost like the Robin Williams of the cello.